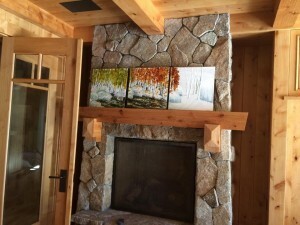 Spirit Tahoe Interior Design & Gallery is a full service Home Design Firm, specializing in ‘Mountain Modern’ design popular in areas such as Tahoe, Truckee, Martis Camp, Northstar, Incline and Old Greenwood. The Interior Design Gallery is open to the public and their inventory features exciting and current ‘Mountain Modern’ furnishings, artwork and other unique pieces. Their inventory includes work by local artists and pieces from around the world. Village Interiors is a retail space for home design. They also offer consulting. 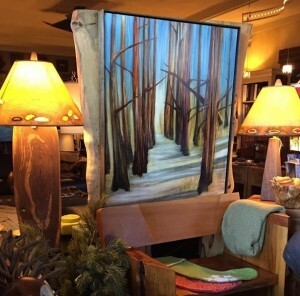 Their gallery is located in Incline Village and carries many local artists’ work. Alexander Gallery is a contemporary fine art gallery in the heart of downtown Nevada City-also known as the “Gold Country”. The spacious gallery is housed in a historical building dating from the 1850’s. Alexander Gallery features both regional and local career artists works. 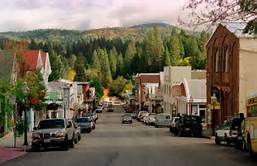 If you are looking for a special sculpture, piece of jewelry or contemporary painting you wont be disappointed with the varied selection at Alexander Gallery on Broad Street in this quaint town of the Sierra Foothills.